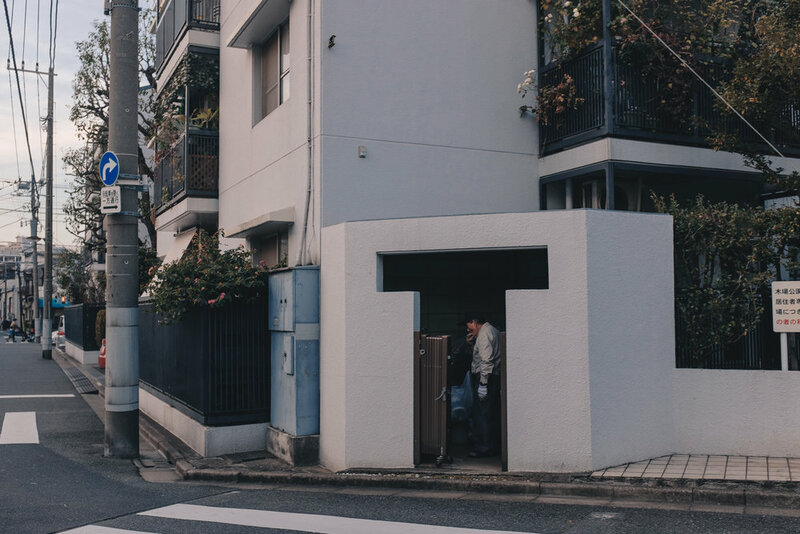 A stone's throw away from Tokyo's more glitzy districts lies Kiyosumi, a former working-class area that has begun to experience nothing sort of a cultural and retail revolution. Yet, perhaps the influx of small retail establishments is nothing new for Kiyosumi Shirakawa especially because it houses two coffee powerhouses - Blue Bottle Coffee Tokyo and Allpress Coffee Tokyo. The district, lying east of the city's Sumida River, has a reputation amongst Tokyoites as a refuge from the hustle and bustle of the city, replete with a refreshing selection of small cafes, bakeries, and even small-time industrial warehouses. This is Japanese cafe culture at its finest. Once the preserve of geeky techies, Blue Bottle has found success worldwide amongst a generation of coffee believers. The roastery has 7 outlets in Tokyo, and an upcoming one in Kyoto. Ardent fans of coffee would undoubtedly be familiar with Blue Bottle Coffee, its simple yet easily recognisable facade is usually adorned with a single iconic and namesake blue bottle logo. As one of the progenitors of the third wave coffee movement, simplicity buys you a cult following, especially if you’re a techie in Seattle or Silicon Valley. Unlike the other coffee cult favourites in the city, Blue Bottle Japan decided to set up a roastery/cafe concept in the eastern suburb of Kiyosumi. Yet, with its off-everything location (especially compared to other cafes in Tokyo), Blue Bottle’s Kiyosumi outpost attracted large crowds that were adamant about wanting to enjoy its famous roasts. It's clear that the place is mainly for socialising and short visits rather than a viable workplace not least because the store comprises of high stools and tables. Seating is also rather limited considering the size of the roastery - while there is an outdoor bench area, patrons will have to brave the cold during winter. The cafe’s glass facade is a celebration of the company’s heritage and the open approach it takes to sourcing its beans and developing its products. The main ordering/service counter also proudly displays the day’s selection of pastries available. I ordered the roaster’s New Orleans blend which came in the form of an iced latte - a daring but fulfilling choice despite the freezing temperatures. The premises also doubles up as a training venue, roastery and warehouse for the company’s operations in Japan. This is not your cubic and small Toranomon or Omotesando Koffee, but a huge global operation operated in what has been termed 'Hipster Tokyo'. This popularity of Blue Bottle still persists amongst a seemingly anti-establishment demographic despite the fact that Nestle, one of the world’s largest food and drink conglomerates, had recently acquired a majority stake in Blue Bottle. Yet, the hurried coffee pilgrims still march on in Tokyo and I’m sure everywhere else in the world. To this end, it seems as if to be part of the ‘in crowd’, one has to make the trek all the way to Blue Bottle Tokyo’s flagship outlet. Instead of adopting Blue Bottle’s tried and tested open concept for its store design, Allpress Coffee by nature of restoring an old timber warehouse for its coffeehouse, adopts a more earthtone colour palette (and not to mention sealed off design) for its concept store which can be found a stone’s throw away from Blue Bottle Kiyosumi. Yet, the interior of the store is not scant on allowing customers to see the entire roasting and brewing process. With ceiling-height glass panels that are reminiscent of our previous location, patrons get an insight into all the furnishings and makings of Allpress’ signature cup of coffee from bean to brew. As the cafe adopts a similar roastery cafe concept, it is interesting to see how the company integrated its equipment and ‘ingredients’ that goes into making the actual coffee as part of the store’s interior. I think that these mix used concepts are beautiful and its something interesting to think about whilst trying to decipher the different notes of your chosen coffee. It seems a trend now that companies are repurposing old warehouse spaces into an interesting cafe and retail concepts - Singapore needs more of this. Allpress apparently roasts and brews its cuppas specifically to the taste of milk and so my latte loving tastebuds were in for a treat. Whilst the cafe is obviously staffed by Japanese baristas, there was a very cheery Australian on the day that I paid a visit who very kindly rescued my inability to speak Japanese making sure I didn’t end up with a ristretto instead. A lot of visitors complain that Japan is ill-equipped to handle English tourists, but I couldn't agree less if you're looking at Tokyo's coffee shops. As I’ve had many Allpress derived lattes in Singapore, the company’s Tokyo outpost didn’t disappoint - there’s just something about the balance that’s achieved that is mildly sweet and bitter at the same time. A mellow caffeine kick of sorts. Allpress still focuses on its wholesale business to various cafes worldwide and thus has less of a presence from a ‘we direct own lots of cafes’ perspective. Yet, as I can attest to, the coffee is excellent and I’d encourage everyone to discover which one of your local cafes serve Allpress. Kiyosumi Shirakawa, as I’ve been told, is also home to many other cafes which probably was chosen for its very unassuming yet easygoing pace of life (by no means a byword for gentrified), and an embracement of the neighbourhood’s soul. An example of which is Arise Coffee Roasters, a homegrown brand local coffee shop that spins a uniquely Japanese take on the third wave coffee movement, a move that ensures that it is able to distinguish itself from its big-name competitors just a few steps away. Apart from these three cafes, there are many coffee shops around Hipster Tokyo from Sarutahiko Coffee to Fuglen Tokyo worth checking out if you don't have the time to head down to Kiyosumi. These serve anything from Japanese drip coffee to more familiar Italian selections. In any case, if you do have some spare time on your itinerary, a trip to Kiyosumi's cafes (I'd call this Tokyo's must see coffee town) gives you the perfect opportunity (or excuse) to enjoy a cuppa (or mid-week breather) while strolling the area's famous Kiyosumi Gardens or even through the many back streets that make up the district.